Apprenticeships are Nationally recognised and are sometimes more desirable by employers. In order to complete an apprenticeship either you or your employee must be employed and have a contract of employment. Apprenticeships are often referred to as ‘earning whilst you’re learning’ or ‘learning on the job’ programmes. Due to the apprentice having to generate their course work / evidence in the workplace, the NVQ is widely sought after by employers, mainly due to potential employees who have completed an apprenticeship not only posses a nationally recognised qualification, but they also have ‘on the job experience’. If you are an employer looking to up-skill your team in a particular area, you want the peace of mind that the training which your staff are receiving is quality and is delivered from experienced trainers and assessors. 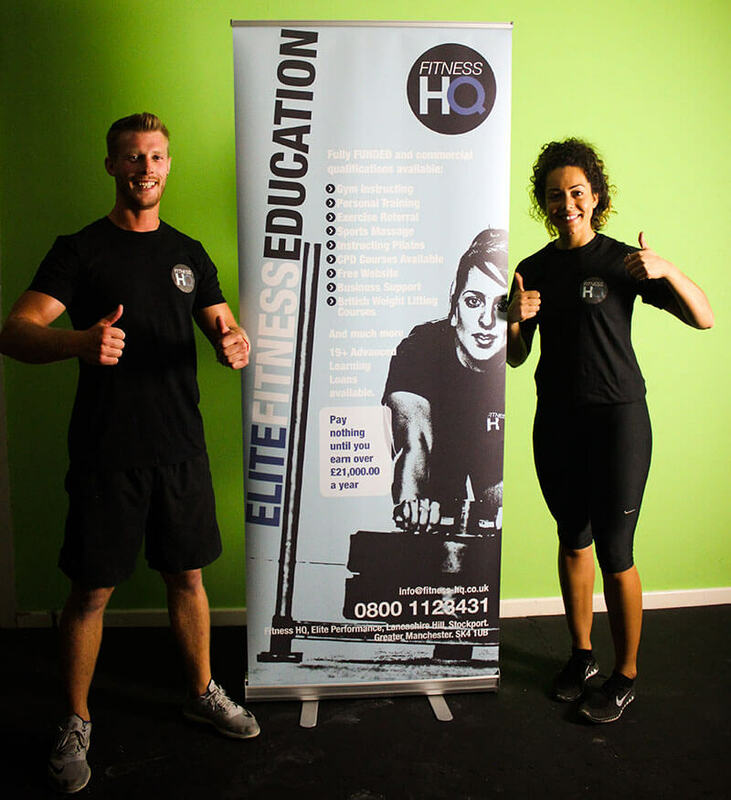 At Fitness HQ we have a reputation of delivering some of the best qualifications available within the Active Leisure sector throughout the North West. We have trainers and assessors available to service your needs in Manchester and Liverpool as well as St Helens, Wigan, Bolton and Stockport. Not only do we deliver nationally recognised qualifications but we can also access Government funding to cover the cost of these qualifications which result in a more productive, knowledgeable and experienced workforce. This qualification is aimed at individuals wishing to work in operational roles in leisure and recreational facilities. There are 4 mandatory units to this qualification along with 4 optional units which can be chosen out of a list of 24. Therefore this qualification can be adapted to suit the needs of the employer and the learner. As with all the apprenticeships Fitness HQ delivers, the learner will also complete Functional Skills and the Employment Rights and Responsibilities qualifications. There are 5 mandatory units with this qualification as well as 2 optional units which allows the learner to specialise in a specific area of fitness instructing: e.g. Exercise to music, Gym based exercise or Physical activity for children. This qualification underpins the role of a personal trainer and is aimed at learners already working within the health and fitness industry. It allows learners to prove competence through demonstration of their knowledge and skills when working with individuals and groups of clients in a work-based personal training setting. There are 9 mandatory units with this qualification including programme design, nutrition and anatomy and physiology as well as 1 optional units which allows the learner to generate a firm understanding of business skills required to become a successful personal trainer. This qualification is for Individuals working in the leisure industry looking for progression into management positions or who are currently in a managerial role in another sector and want to enter the leisure industry at the same level. There are 11 mandatory units with this qualification which include understanding financial procedures, marketing and how to deliver objectives in the active leisure sector as well as a further possible 17 optional units. This is one of Fitness HQ’s most popular apprenticeships – Leisure Management. As with all the apprenticeships Fitness HQ delivers, the learner will also complete Functional Skills (inc. ICT) and the Employment Rights and Responsibilities qualifications.